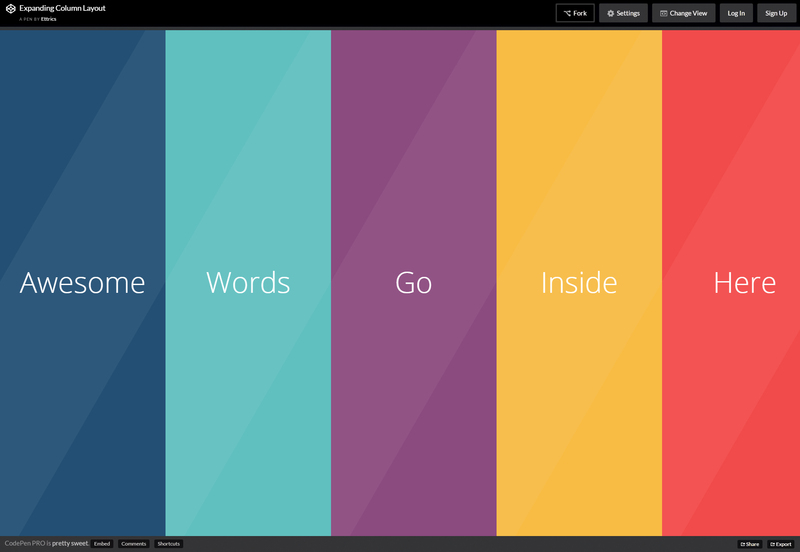 Cool viewport-sized collapsable columns, each featuring a label for the section they represent, it features nice flat style effects that expand as you click on them to show the whole section. 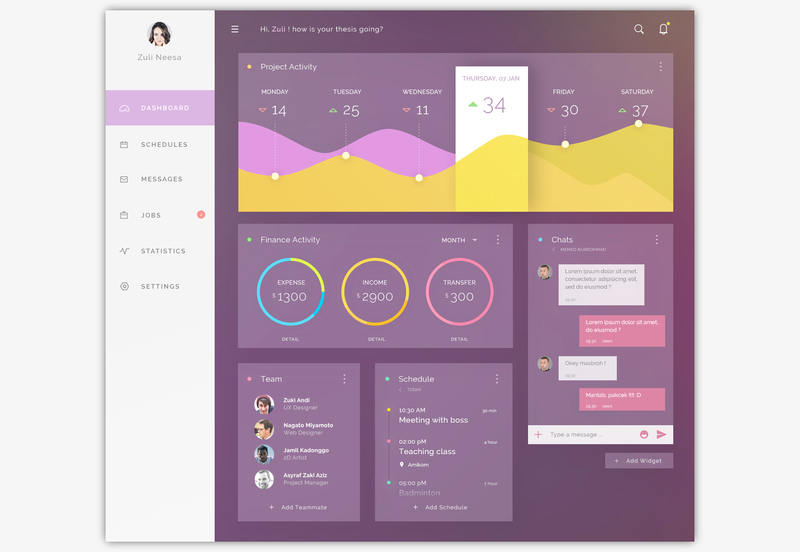 A beautifully crafted dashboard administrator template made in web technologies featuring smooth and eased animations for its interactive charts. 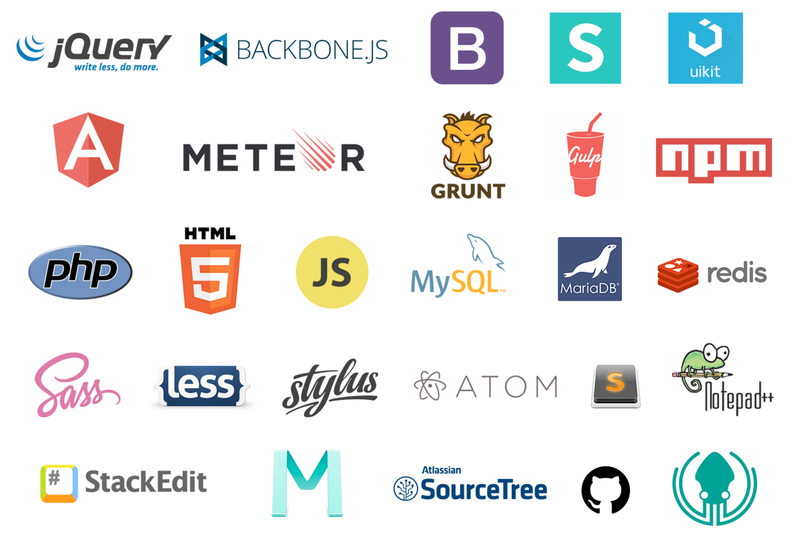 It counts on a left sidebar menu and a complete set of diverse elements. 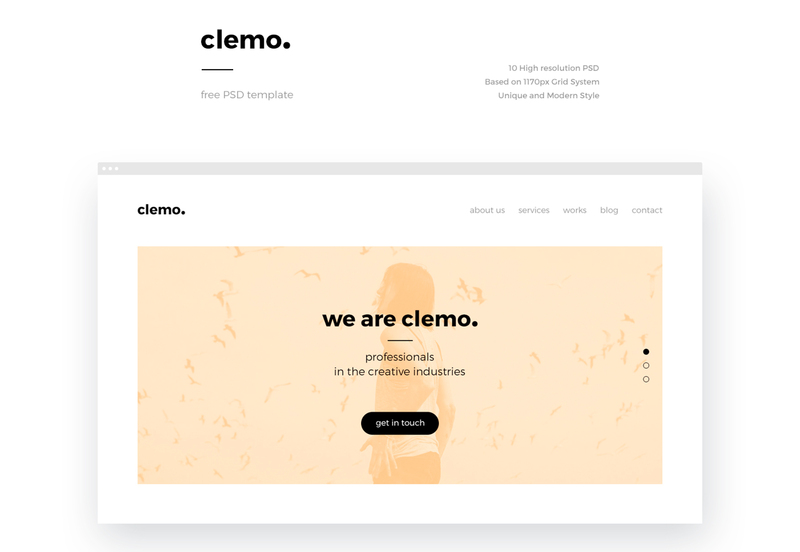 Clemo is an amazingly well-designed blogging website template that is delivered in PSD format featuring a clean and modern style counting on big thumbnails organized as borderless tiles, a Pinterest-like grey-scale gallery, and more. 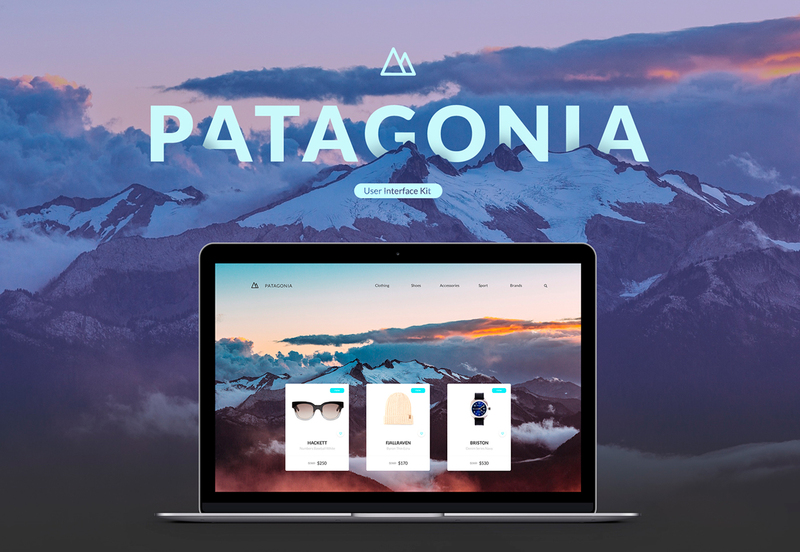 Patagonia is a nicely crafted eCommerce website UI kit that features round corner cards composed out of colorful elements cleanly organized, big transparent background images, and shadowed elements. 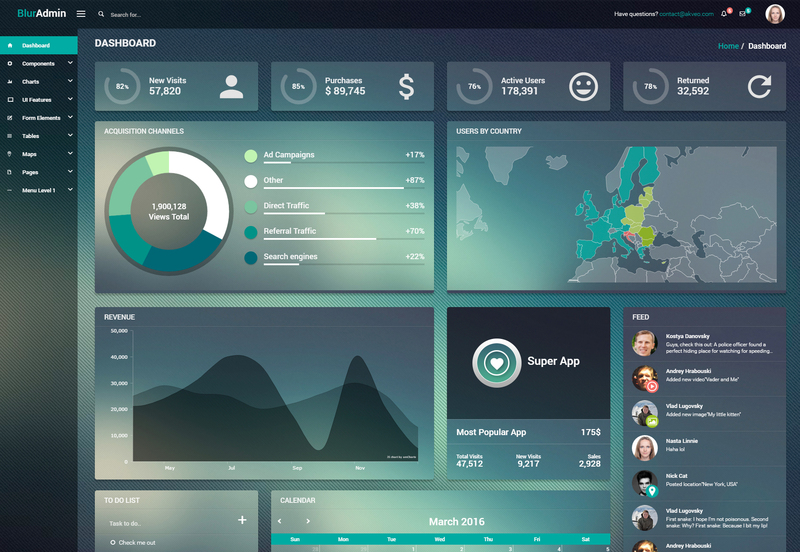 A beautiful dashboard composed of translucent and solid elements that feature a soft color scheme giving it a very nice look, it comes available in PSD format perfect for modern administration dashboards. 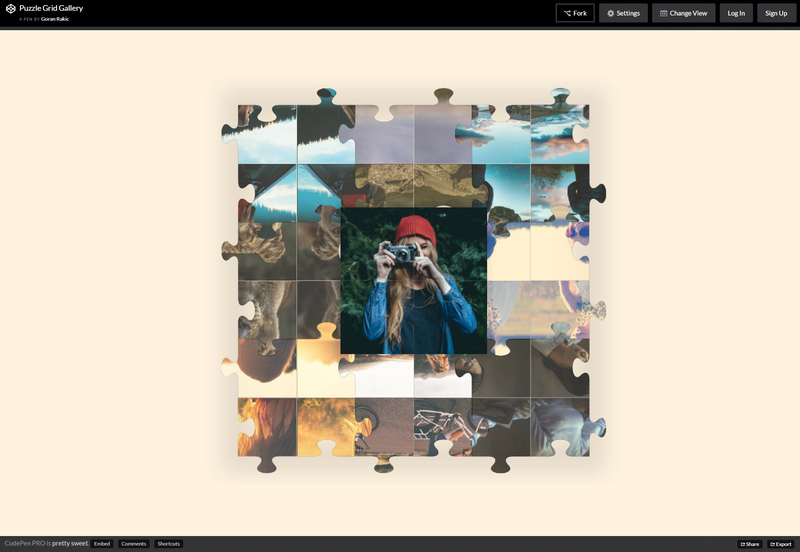 An animated grid layout for photo gallery purposes that initially showcases the photos in disorganized jigsaw pieces that flip themselves to get organized and compose the image as you hover over them. 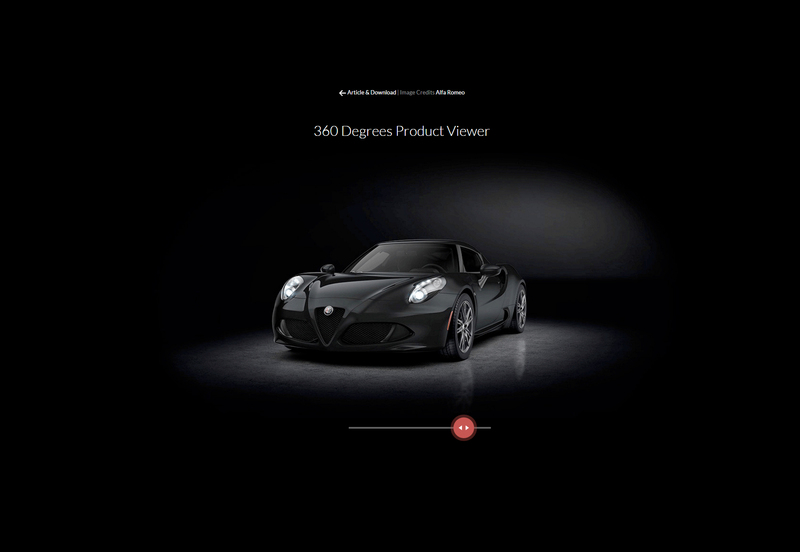 An amazing library developed in both CSS and jQuery that allows you to showcase products in 3D allowing you to rotate it as you want with a slider knob. 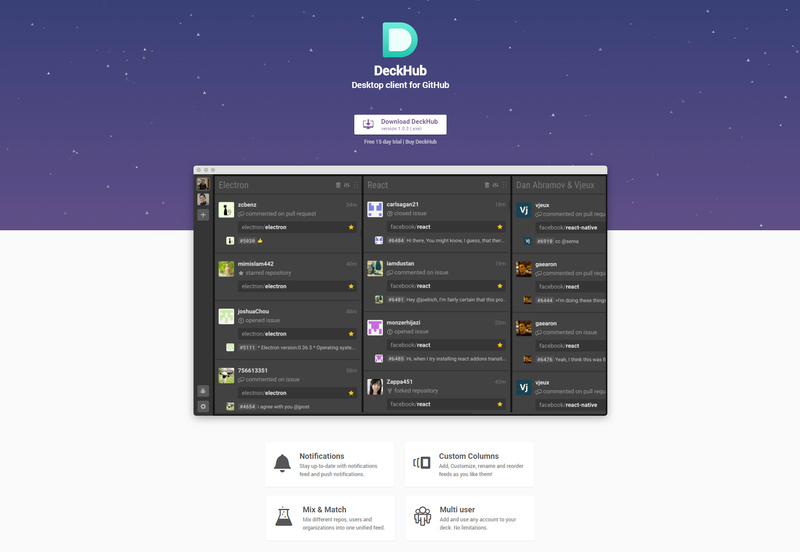 DeckHub is an amazing desktop client for Github repositories management that allows you to get feed and push notifications, customize, rename, and reorder feeds as you like them, mix different repositories, users, and organizations, and more. 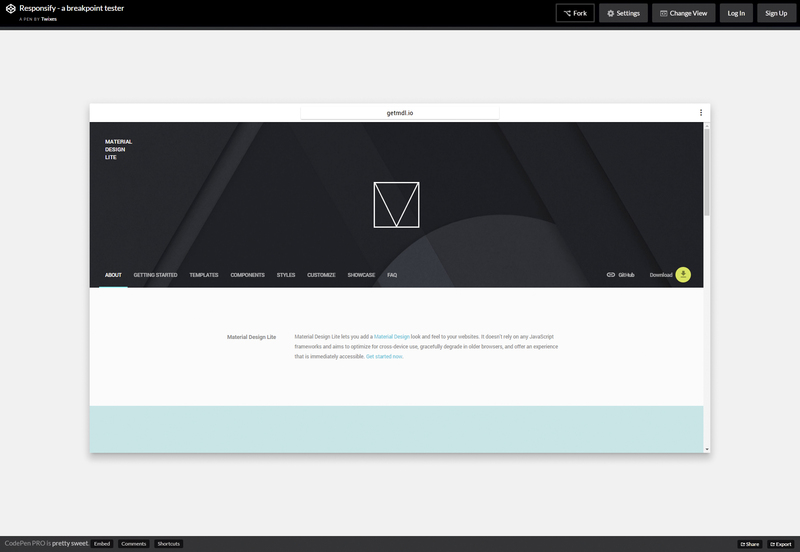 A great snippet generated with no more than 250 lines of Jade, SCSS, and Babel code that allows you to test the responsiveness of your website in four types of device; mobile, tablet, laptop, and desktop.